For the 14th time the SAP Expert Group of TecAlliance met in Frankfurt/Main on 12 October 2017. 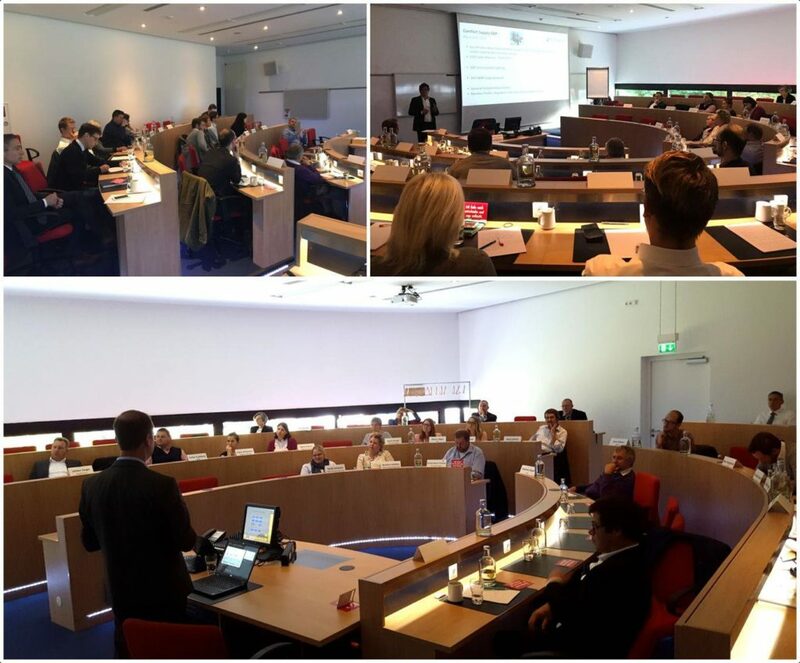 The 30 participants – all representatives of well-known parts manufacturers with SAP systems – were given insights into newly available features such as the fully integrated business customer relationship management in SAP, the integration of e-Invoicing (TecInvoice) and Collaborative Managed Data (TecCMD) in Order Web or the new Business Statistics Tool with intelligent Lost Sales Report. The TecAlliance Roadmap for the migration of SAP R/3 to S4 HANA, which is to commence next year, also met with great interest. The international SAP Expert Group for SAP customers outside Germany will take place on 5 December 2017 as an online meeting. “The SAP Expert Group has developed into a very special community over the years”, explains Daniel Schmat, Senior Solution Manager ERP Systems at TecAlliance. “At the meetings we don’t just inform the participants about our latest developments and plans. We work here together with our customers to align our offer in the SAP environment optimally to their needs and wishes. We discuss intensively and welcome constructive criticism. Many innovative projects have resulted from this culture of open feedback that we have successfully implemented with the participants”, Schmat continues. TecAlliance employees from all customer-relevant departments: Sales, Consulting & Implementation and Solution Management were on site at this event for the first time. The participants again made good use of the opportunity to discuss and exchange views with the TecAlliance experts and industrial colleagues this year. The international SAP Expert Group for international customers will take place on 5 December 2017 as an online meeting. Daniel Schmat presents here a summary of the topics in English together with Business Consultant Helen Solomon. The event also offers the international TecAlliance SAP Community the opportunity to exchange views and discuss them. You can register on the TecAlliance Website.